Contact me using the Feedback Form to obtain contact info. 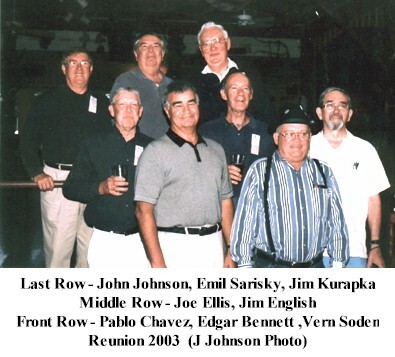 The following was sent to Nelson Johnson this week: Our group of ASA veterans from the Tirschenreuth/Mahring site have been getting together since 1979. We first tried to do it every 5 years, our first reunion was in Indianapolis, and our 2nd in 1984 was Tirschenreuth. Since then the timing has been altered to every 2 years. We have met in Bozeman, MT., Milwaukee, WI., Cincinnati, OH., and Knoxville, TN. 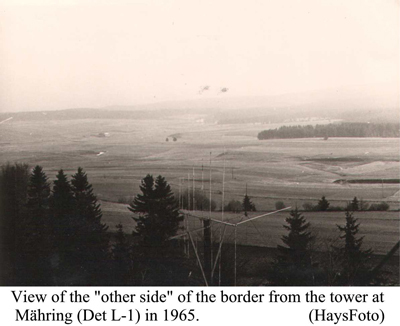 In addition to the every 4 year return to Tirschenreuth. 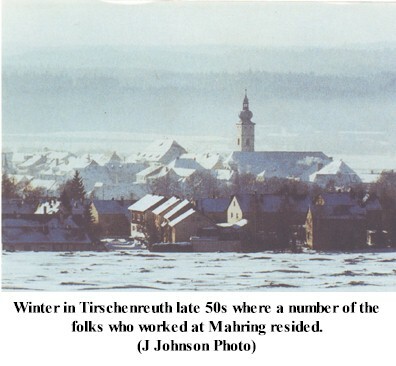 We were last in Tirschenreuth in1999, and had scheduled a return visit this year. Due to the world situation (and the anti-American stance being shown by the Germans and French) we decided to defer our European visit until next year and to gather in Adamstown as an alternate site. We have been to Adamstown on several occasions over the year but not as a stop on our "official" reunion sites. Those attending this year were: Ed and Erika Bennett, their daughter Ellen, her husband Joe and daughter Amber with other friends., Joe and Resi Ellis, Pablo and Suzie Chavez, Bill and Fran English, Emil and Traudl Sarisky, and daughter Christina, Jim and Marian Kurapka, Vern and Betsy Soden, and Betsy's sister Beverly, John and Faye Johnson, and our friends Bud and Rita Geisslerand, Gerda Gorby a native of Tirschenreuth.